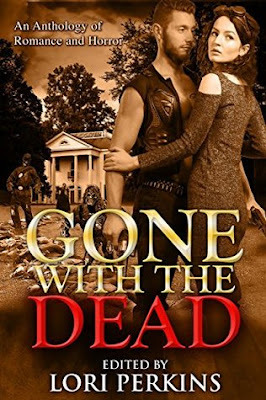 An Anthology of Romance and Horror where Gone with the Wind meets The Walking Dead! When a convention of more than 4,000 romance writers and readers descends upon Atlanta Georgia, it can only mean one thing…a mash-up of two of the finest Georgia traditions. I am not a huge Gone With the Wind fan (please don't throw rocks), but I am in love with the antebellum south. And if you read many of my reviews, you know I love a good paranormal story line. So this anthology of short stories truly felt like a good fit for me. I enjoy reading anthologies because I get introduced to several authors at one time. There was not one author in this group that I had heard about before reading this. Now I'm in love with each one of them and added several to my TBR. Not everyone likes short stories, but I love them. I honestly think they are harder to write because there is limited space to tell the story. Each one of these authors did a fantastic job of creating powerful stories that started with a bang and ended with an even bigger bang. The plots moved fast, the characters were well-developed, and the stories felt original. It's hard to say which were my favorites. There was only one I could not finish and that was no because it was written badly. In fact, it was written so well it gave me the willies. It was about bugs and I hated bugs. If a gun was held to my head and I had to pick two, I would pick "A Piece of Him" and "A Ferocious Blossom". But trust me when I say all these stories are good. It would be fun to read some of these for a Halloween book club.